In every organization safety is always first priority. But saving money is usually a close second. With RippleFX Emergency Eyewash Station products we offer our customers better safety solutions and help them save labor and money. And, it’s portable. Finally a solution that can go on the road for mobile workers. So, what makes our Isotonic Portable Eyewash Station Solution better? For starters, it’s safe for everyone to use—including children and those with contact lenses. That’s because we use distilled water with no preservatives. 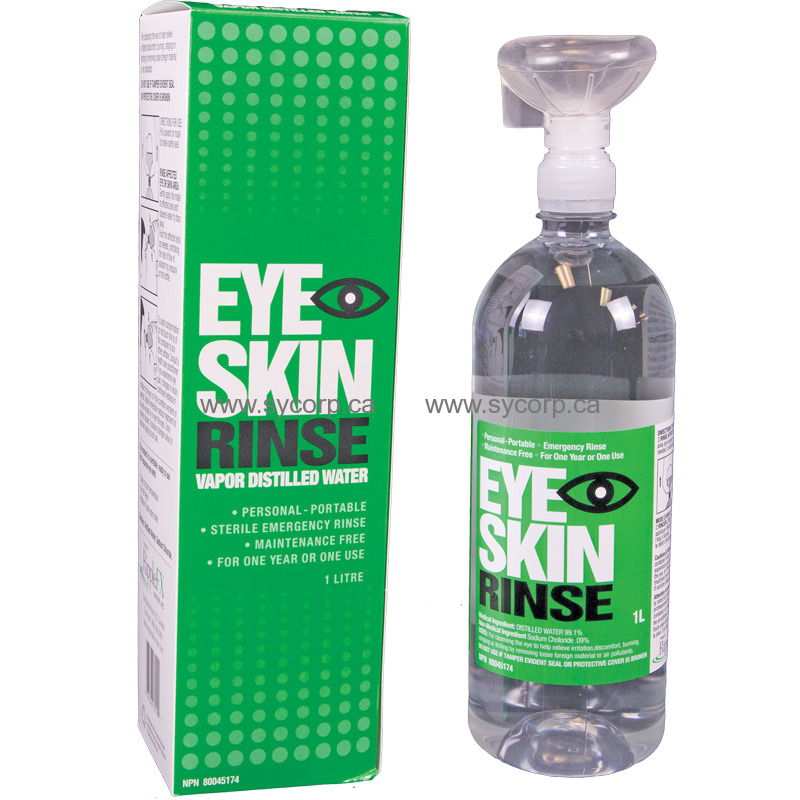 Secondly we offer a ready to use, isotonic portable eyewash that is tagged with the best before (replace before) date that is good for one year. No more refilling eyewash stations. Our Emergency Eye & Skin Rinse is available in portable (1L & 500ml) prepackaged bottles—which are ideal for the mobile worker. This portable option (which is sealed and bagged to protect it from dust and debris) features an unique eye-cup design that form-fits to any individual. For cleansing the eye to help relieve irritation, discomfort, burning, stinging or itching by removing loose foreign material or air pollutants.